Join our Inner Circle to gain access to exclusive Highland Park content and be the first to hear about what's happening at the distillery and new product releases. Dragon Legend is inspired by the ancient tales of the Vikings who held the thrones of our Orkney island home for over 600 years. For our ancestors, dragons were both feared and revered, possessing mystical powers but representing the forces of evil. According to legend, the Viking warrior Sigurd who - with great bravery and cunning - won his game of life and death with evil Fafnir, slew him and licked the dragon's blood from his thumb, receiving the powerful gifts of Wisdom and Prophecy. 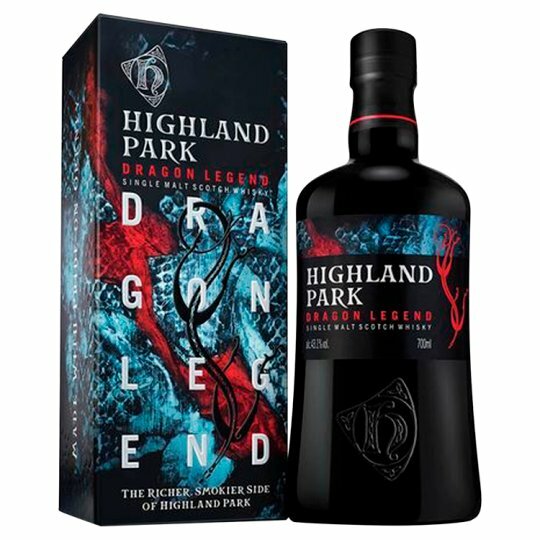 With Dragon Legend we pay tribute to the virtues of courage and perseverance that lie at the heart of the Viking code of honour - and at the heart of our distillery - inspiring this distinctive and unconventional expression of Highland Park.